Comey has already voiced his support for going on the record but told GOP leaders he wanted the hearing to be made public. 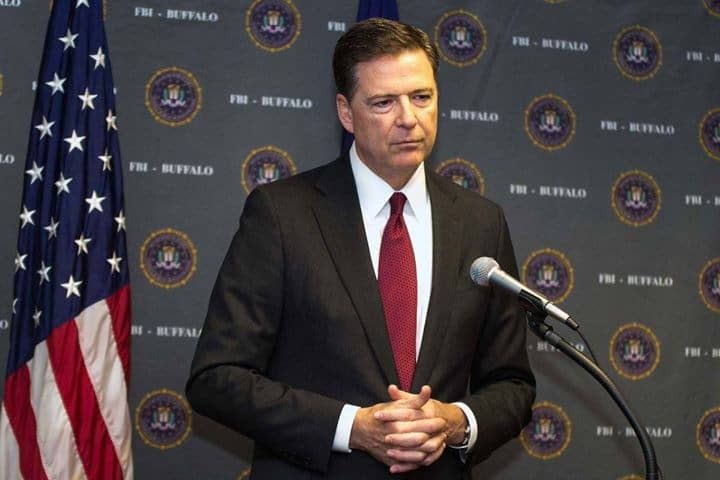 The subpoena issued to Comey and former Attorney General Loretta Lynch is in regards to their handling of the investigations into Hillary Clinton and Russian election meddling. Comey has gone on the record numerous times to support the GOP’s request to fully question him about his days with the FBI. Comey’s attorneys filed the motion in federal court in Washington, D.C., on Thursday. The court documents ask that the subpoena from the House Oversight and Judiciary Committees be quashed. House Republicans are hoping to have Comey testify on December 3 — just ahead of the January Democratic takeover. House Republicans continue to maintain that Comey and Lynch exhibited a bias towards Donald Trump and in favor of Hillary Clinton. This, despite the fact that Comey released information about Clinton’s private email server use right before the 2016 general election. Comey tweeted about the filing on Thursday afternoon while sharing his filing documents on Twitter.